Copper Canyon Daisy is not actually native to Texas, it is native to Arizona, Mexico, and Central America. 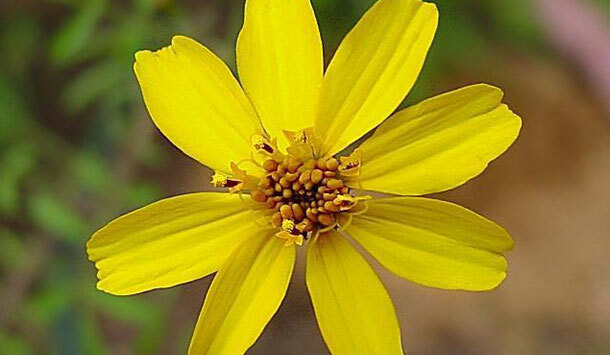 Bees and Butterflies are attracted to its golden yellow flowers and deer seem to strongly dislike the pungent smell of Copper Canyon Daisy’s foliage and generally leave the plant alone. 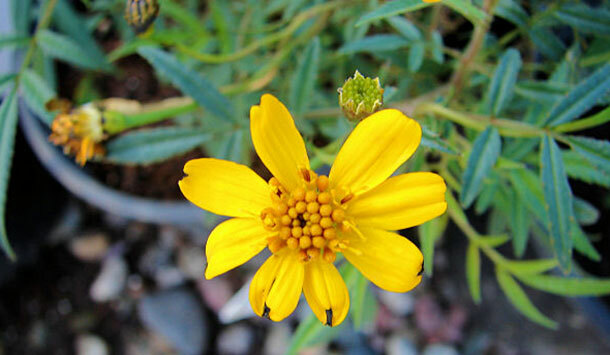 Copper Canyon Daisy (also known as “Mexican Bush Marigold” or “Mt Lemon Marigold”) is popular for its fall and winter color and aromatic foliage. It typically grows to a height and spread of 4’ with an open form. 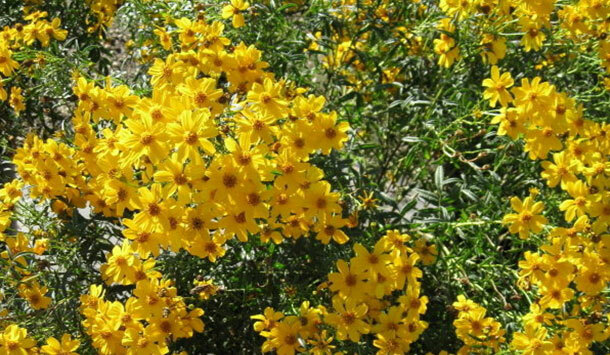 It is most recognizable and attractive through fall and winter, when it produces numerous brilliant orange-yellow flowers. Copper Canyon Daisy’s striking fall color form and relatively large size makes it perfect for mass planting, xeric landscapes, and in native gardens. 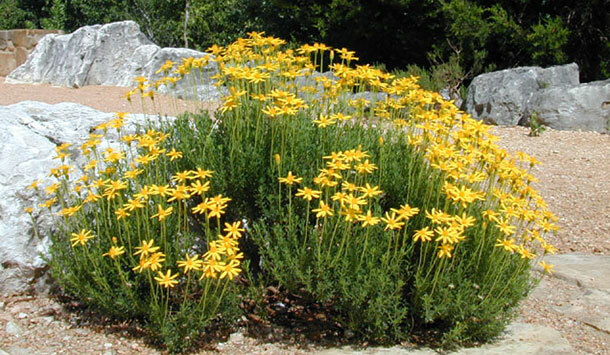 Native to the Sonoran Desert of Arizona and Northern Mexico, Copper Canyon Daisy is drought tolerant, has low water requirements, and requires little fertilizer once established. Strongly aromatic foliage also as a as a deer deterrent. Copper Canyon Daisy blooms in both Spring and Fall, with the fall bloom being the main flowering period. Butterflies and Bees are attracted to the abundant flowers. Plant goes dormant in winter and will die back if it freezes but will come back in spring. Plants are readily available commercially. Potted plants typically come in 1 or 3 gallon sizes. Low water needs and requires good drainage. Trim back in spring after major flower flush to prevent shrub from becoming too leggy. This is a much smaller, low growing, evergreen shrub. Its foliage is also aromatic and it also produces numerous small yellow flowers but flowering time is spring through summer.